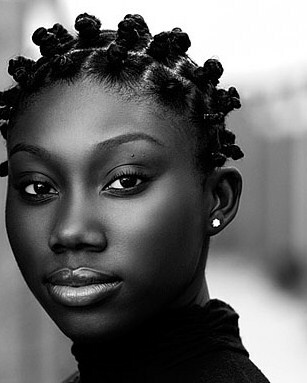 Black textured hair has inspired jealousy and resentment in white hearts for centuries. Black hair has been and is policed, both socially and legislatively, since before the inception of the United States. From the Tignon laws of the Creole South requiring black women to cover their glorious hair because it threatened white social supremacy to the current US Army regulations forbidding afros, braids, and twists for female soldiers, black hair has been an obsession of whites. Within this context of scrutiny against black people for their hair, it is supremely disrespectful for a white person to mimic their styles. But we do it anyway, and we tend to do it badly. 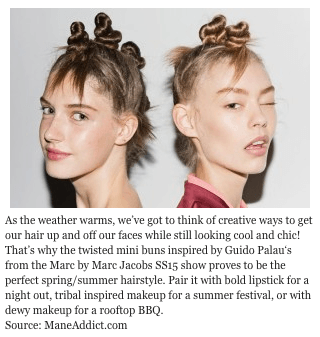 Compare the sloppy “mini buns” in a Marc Jacobs fashion show to these neat and tidy Bantu knots in this photo from Lipstick Alley. Allure magazine is telling straight-haired white women we can have an afro but the instructional tutorial they provide actually shows how to do twist outs, badly. This is not cultural appreciation. Copying a hairstyle poorly, then misnaming it and miscrediting its origin is not flattery or respect. It’s playing dress-up in someone else’s real life. Sloppy mini buns with ends sticking out everywhere. Bantu knots with ends neatly tucked.